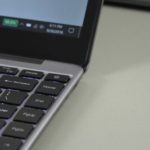 Chuwi’s latest laptop is you could say an upgrade over the Lapbook Air. It improves upon several aspects, the build, screen, and even the keyboard. The CPU is the new Celeron N4100 Gemini Lake which is around 20% faster and it even has HDMI 2.0A output. The the same 2 x USB 3.0 ports, D/C charging and MicroSD USB 2.0 reader. However, due to DDR4 prices most of these new Gemini Lake laptops have been shipping with only 4GB of RAM. So 2GB less than the Lapbook Air. It is faster DDR4 2400Mhz RAM running in a single channel at 2133Mhz, but most would agree with me this laptop really needs 8GB of RAM. However if you can live with 4GB of RAM and for the price paid of only $259, this is a fantastic laptop I didn’t expect to be as good as it is. 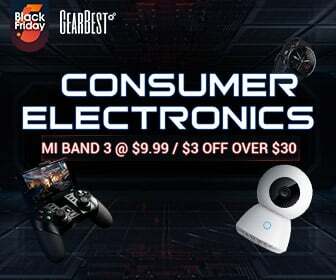 So for basic computing needs or an all-day battery travel laptop that doesn’t have anything too strenuous to deal with like video editing or playing the latest Battlefield AAA title it’s a great choice for those on a tight budget. 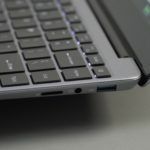 The build and look of the Lapbook SE is I feel above the typical price tag. 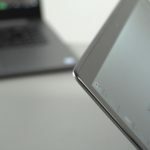 Its body has nice rounded edges, it does feel a little heavier than you expect at 1.45 kilos but the lid can be opened one-handed, it has an all-metal finish in dark grey, but the palm rest is plastic. However, it’s a quality plastic. The keyboard is an edge to edge one, as a result, the keys are larger than normal with a quality plastic used. They even have a slight curvature to them improving the feel of the keycaps. The feedback, the pressure required and 1.5mm travel is good. It’s well spaced out and comfortable to type on (I wrote this review on it). One of the best if not the best used in the under $300 segment. The same goes for the touchpad, Windows precision drivers, it’s large and overall the accuracy and sensitivity just right. Better than the EZbook X4’s touchpad. 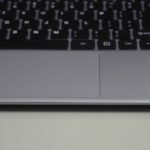 The backlit keys have two levels, low and high but sadly it doesn’t power on when you turn on the laptop. You must hit F5 for that each time you want it on. I hope somebody can figure out a way to have it come on automatically. So keyboard and touchpad are one of the main reasons I like this laptop it’s has really set the new standard for the price. The screen is a pleasant surprise in terms of color gamut coverage: sRGB 92% and Adobe RGB 68% coverage. Normally for these budget sub $300 laptops they are sRGB 55% and Adobe 48% or worse for example. But this result is even better than the $1000 USD gaming laptops I’ve reviewed and even close to the $799 Xiaomi Mi Notebook Pro. Out of the box we have a typical IPS blue tint on whites and some light leakage on the edges. 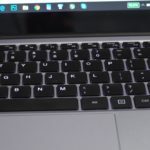 This is common due to the bonding process of the glass to the screen and I’ve seen it even worse on my Surface Pro 4, but it’s only visible really when looking at the same color, for example, an all blue or black screen. I measured 200 lux max which isn’t the brightness either, I like to see at least 250 lux or over. However, since it’s laminated it actually seems much brighter and indoors I stuck to using 50% brightness. It’s reflective being glass, but there are matte screen protectors I’ve used in the past that do a good job to stop this. And yes the bezels aren’t as slim as the press images are. 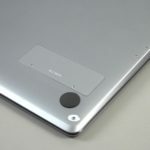 The speakers are your typical ones found in the EZbook 3 Pro, F7 and EZbook X4. Four tiny, tinny speakers. The volume is okay depending on the content you’re watching. But very flat, no bass at all. But the 3.5mm headphone jack output is clean, no static interference of the sort on my unit. And it’s loud, the mics are in an odd location, underneath on the underside. It works, but you get more feedback from the keyboard and touchpad when in use. You can hear more of those sounds than if the mics were up where the web camera is. The webcam is rather poor on my unit, it seems out of focus. Or the glass is dirty? It’s passable for Skype, but I’ve seen much better. The 37Wh battery is good for up to and even over 8 hours of use depending on what you’re doing. 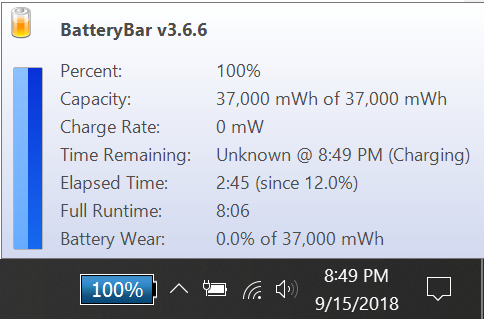 I stuck to 40% to 30% brightness with mixed-use mostly using Chrome and even a 1-hour skype call with 80% brightness I get a decent almost 8 hours of use. This was with very good wifi signal strength. 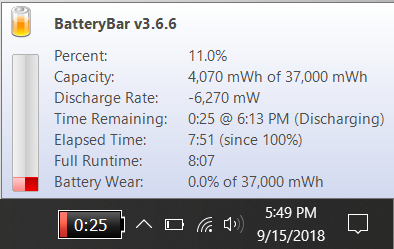 So yes this ticks the box all-day battery life is possible with this laptop as long as you don’t push it too hard and keep the screen below 50%. The Lapbook SE takes just over 2 hours and 40 minutes to fully charge with the 12 volt 2A charger supplied. 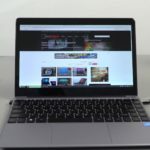 With general office work, basic light tasks the Celeron N4100 is fine and up to the task, as you can see in my video review even pushing it hard with multi Chrome tabs pages load in fine and you can swap between tabs. The 4GB is a limitation and we do run into some swapping but overall it’s decent. 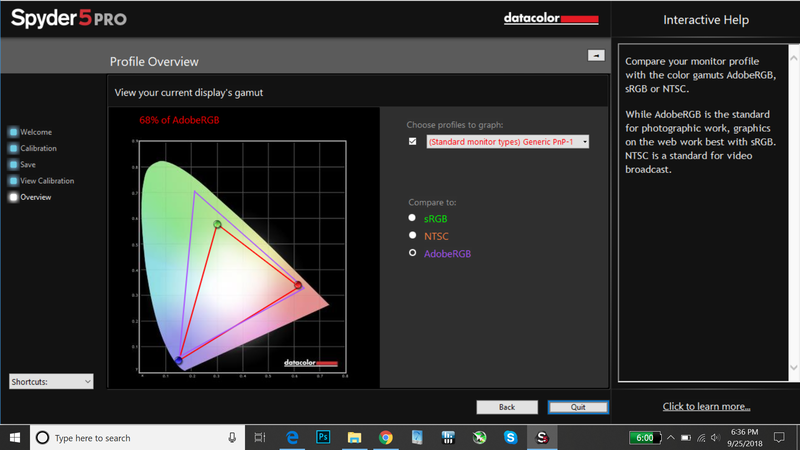 When gaming the Intel UHD 600 integrated GPU can handle old and light titles on low settings and resolutions. But if you want the best performance, unlock the TDP and do my copper heatsink mod you can get very decent FPS in games like League of Legends at 1080p. This hack and mod can take the performance from 54 FPS in the HL2: lost cost benchmark 720P to 79 FPS. Counterstrike Source can be played at 720p on low settings with playable frame rates in the 40’s with the power limit hack. Without it, you’re looking at only around 25 FPS. And for those of you that don’t plan to game at all. In the CPU advanced settings disable the power limit and C-states will see that the Celeron N4100 will hold all 4 cores at 2.3Ghz if thermals permit. Stock TDP (Power limit) it will drop to 1.6Ghz all 4 cores after about 28 seconds. The copper heatsink mod I’ve been doing for years now always helps these fan-less laptops. It’s not something that needs to be done on this model, only if you want to improve performance a little. 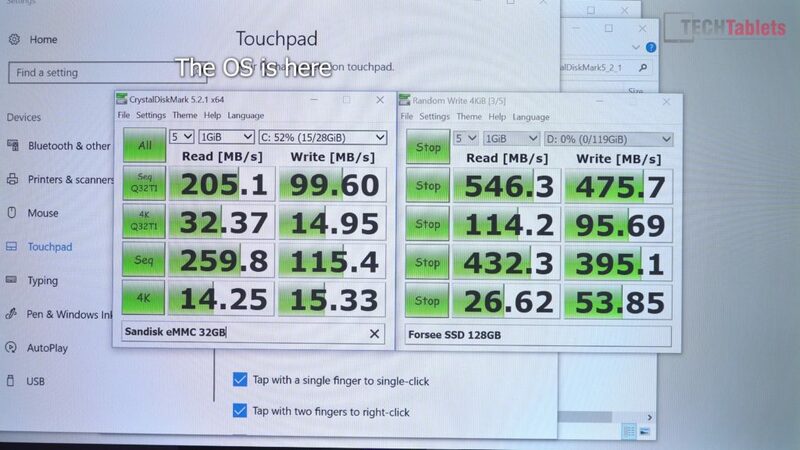 Under stress tests, my Chuwi Lapbook SE hit 85 degrees C, no thermal throttling (stock TDP). This is okay, but there is room for improvement if you don’t mind a few mods. 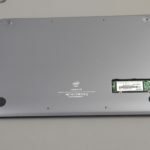 The rear of the case and the left top of the laptop will get warm under continuous heavy use as expected for a fanless device. Max temps are around 34 degrees C to the touch, it’s warm but not hot. But if you plan to run a non-stock power limit and the mod, the underside can go over 40 degrees C and feel hot. 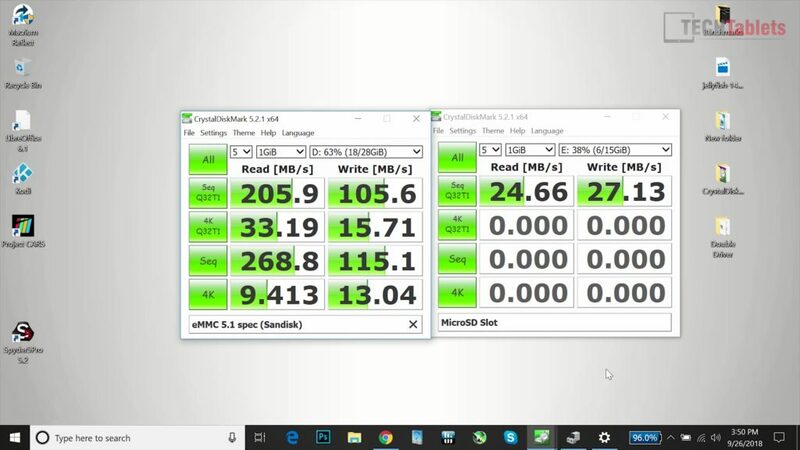 Despite the minor issues like the Windows 10 installation on the eMMC where it should be on the bigger faster SSD, the system performance overall feels quite good for the spec. The build, keyboard, and touchpad are great. The screen is glass, so reflective but has good color RGB coverage. 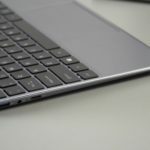 The Lapbook SE is one of the best sub $280 laptops reviewed so far and it’s a keeper for me. I didn’t expect it to be as good as it is. So It’s replacing my Lapbook 12.3 and Teclast F7 as my new laptop for travel and light tasks. If only it had 8GB of RAM it would be even better!